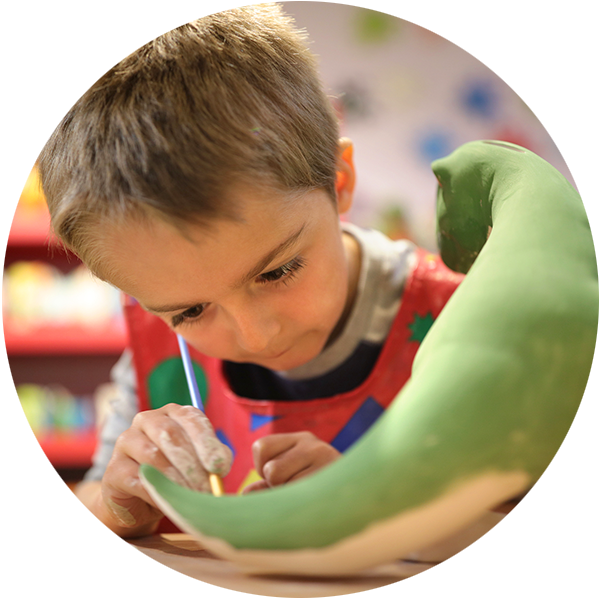 Pop into our ceramic studio anytime during open hours and create! We fire your piece in our kilns. Choose from a selection of mugs, plates, pitchers, piggy banks, platters, decorative pieces and MORE! Come in during any of our open studio hours and create your piece with friends in our incredible ceramic loft! Attend a guided class, where our artists guide you through a specific piece step by step. View our calendar to view our open ceramic classes. Feel free to stop in anytime during open hours, pick out a ceramic piece, and paint away with friends and family in our cozy nooks and tables scattered in our fabulous new studio. Guests can also choose from different size canvas’s and create their own canvas paintings (no instruction)! Guests are welcome to byo food and beverages, or feel free to grab a cocktail or food from our downstairs Speakeasy (205 Dry) to enjoy while you paint ceramics! Let your guests pick their piece: (Cost of piece picked + Studio Fee) Let your guests pick their own ceramic pieces at your party (choose from hundreds of options) they select when they arrive the day or night of your party. Guided Ceramic Parties: (Cost of piece picked + Studio Fee) Let our artists guide you and your guests through a specific piece chosen ahead of time (hostess will choose from vases, plates, cups, spoon rests, and more). You can pick from Uncorked style options, where we guide you through a specific piece, or let your guests do their own thing, with help from our artists! Pricing depends on piece picked, just like with paintings, we will send you a link to view our catalog of choices! Clay Hand-Building Parties: ($25 per guest + Studio Fee) In hand-building parties, we will guide you and your guests through creating your own clay creations using your hands, clay, water, tools and expertise and instruction from our clay specialists. Choose from making plates, platters, bowls, vases and more! (We will send you a portfolio of options to choose from). 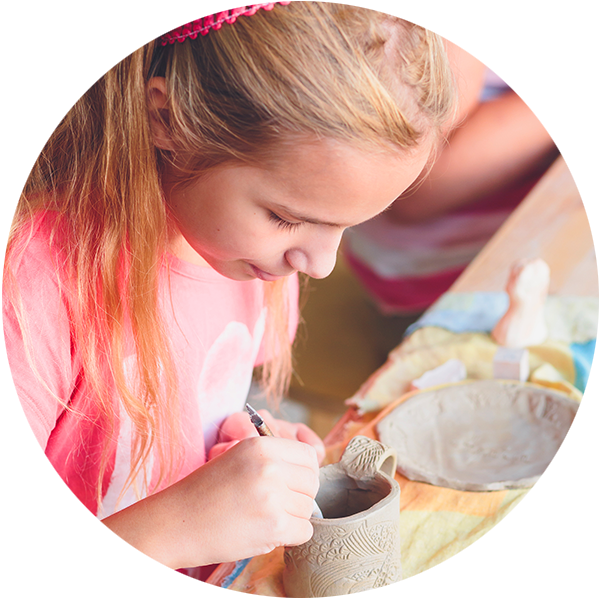 Guided Ceramic Parties: (Cost of piece picked + Studio Fee) Your child will pick from a catalog of ceramic pieces (choose from piggy banks, jet planes, owls, heart dishes and more). Boys and girls can pick different pieces! 2 hours in one of our fabulous lofts, set up and clean up, an Uncorked artist to assist you and your guests, All Glazing, Firing, Materials and Instruction. Please feel free to bring in cake, food, drinks, decorations and party favors to customize your event! We provide separate tables for food and drinks, wine glasses, plates, napkins, utensils etc. for you to use (we also have a refrigerator/freezer and ice if needed). A $50 deposit is required to reserve your party! 2 hours in one of our fab lofts, set up and clean-up, studio fee for all painters, 1 Uncorked artist to assist with all of your party needs, a customized birthday plaque designed by all party guests for the guest of honor, All Glazing, Firing, Materials and Instruction. Please feel free to bring in cake, food, drinks, decorations and party favors to customize your event! We provide tables with cloths, flowers, plates, napkins, utensils etc. for you to use! A $50 deposit is required to reserve your child’s party! Want to host a smaller party with friends? No problem! Come join us for a night out with your group. Sign up for any of our open classes and we will reserve your tables together! Check out the monthly calendar and sign up for the date that works best for you!